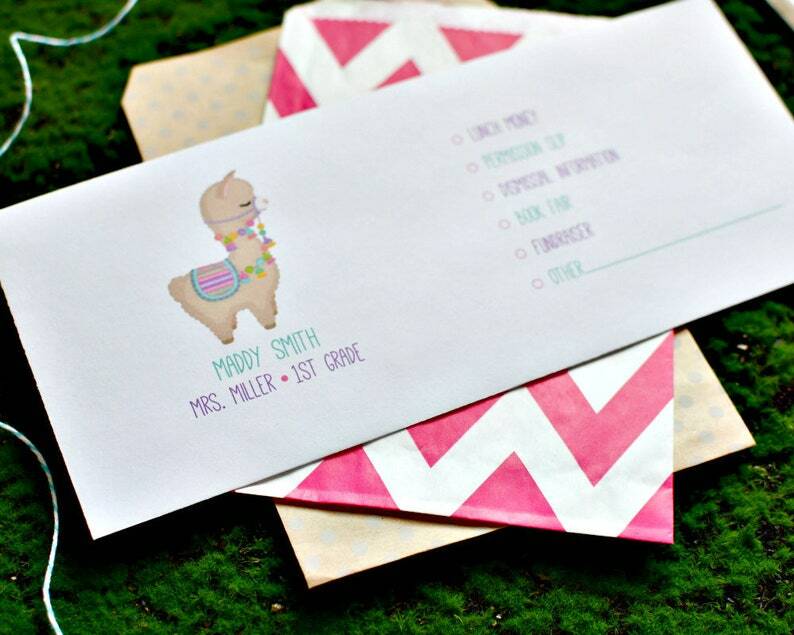 Set of 20 Llama Personalized School Money Envelopes. Perfect for all the money and notes that go into the teacher! You will be the parent of the year with these and all the staff will love you for being so organized! Please include child's name, teacher name, and grade in message to seller upon checkout so you can receive a proof. This is my second year ordering from ItsyBitsyPaper. I’ve been happy with my order both times. 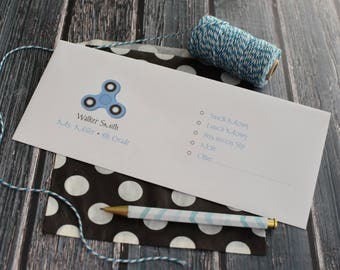 She does a great job on the envelopes and even goes the extra mile in matching the options on the envelopes for my two children. My touch of OCD appreciates that. I always get compliments on these when I send something to school.